In nuclear medicine, decontamination and sterilization of isolators is an important aspect in the daily practice of those who work in this field, and a requirement which today is particularly challenging and, at times, difficult. 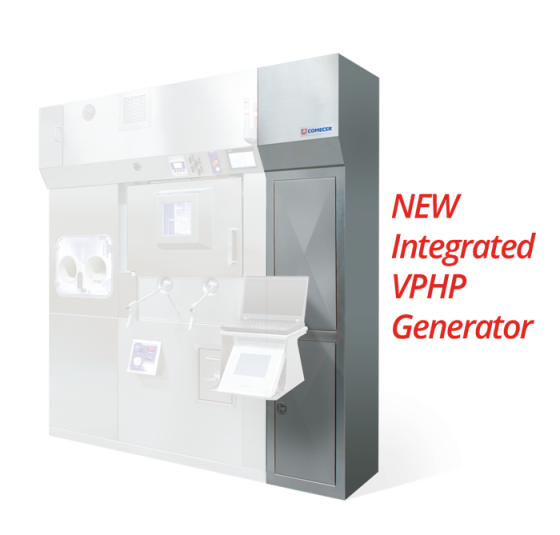 VPHP generator (Vapor-Phase Hydrogen Peroxide, often mistakenly called VHP, a patented name) used in various areas of isolation technology, is a system of decontamination and sterilization which uses hydrogen peroxide vapor. The H2O2 vapor is, in fact, one of the most effective decontamination agents. That is why it is particularly appreciated and also used in the pharmaceutical industry, for example in bio-decontamination of the isolators used in the production of highly active pharmaceuticals. Its use is justified by the oxidizing power with bactericidal, sporicidal and fungicidal action (by penetrating the cell membrane and disrupting the DNA). Degraded into water and oxygen, it presents no final toxic residue. The process takes place at room temperature and ambient pressure, and it is effective in large and small sealed spaces. The extensive literature on this process confirms the use of VPHP as the most powerful weapon for decontamination, safe and ideal for a laboratory, which must take into account GMP (Good Manufacturing Practice) standards. Despite the many advantages that this method has, among which is respect for the environment, it is still not widely used nuclear medicine, particularly because of the lack of integrated technology solutions. Comecer is well aware of the potential of VPHP and the importance of making it available also in the field of nuclear medicine. We have worked to design integrated solutions that would allow anyone who wanted to use this method to have a product fit for their purpose. After much effort, we have finally reached this goal. At EANM 2014 Comecer will present a unique innovation: a hydrogen peroxide generator that can be integrated in all our shielded isolators for aseptic processes. This isolator reaches the SAL 10-6 level of decontamination and is particularly suitable for application in nuclear medicine. Performs decontamination tasks safely and effectively according to the highest pharmaceutical standards. Reduces the difficulty and the time spent by an operator in routine procedures, minimizing the extraordinary cleaning procedures. 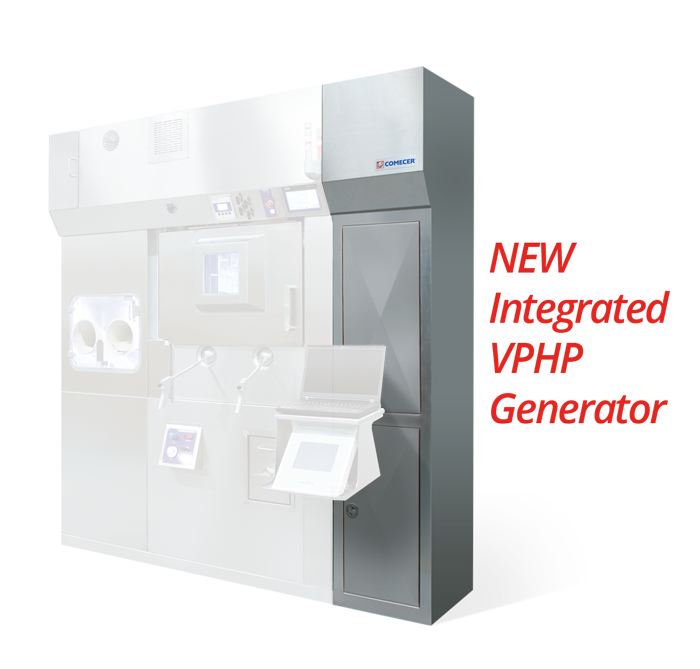 Automates and makes the decontamination process in an aseptic environment repeatable. Controls the system directly from the control panel of the isolator, integrating an automatic decontamination phase into the production process. Reduces mounting dimensions and the impact on the laboratory. Can be located within the equipment compartment of the laboratory without affecting the classified area and ensuring a better approach to GMP. Reduces the lengths of the distribution circuit, compressing process times and waste decontamination. Allows a unique reference point for the installation, validation and service of the integrated isolator + generator solution. Reduces the overall system cost. To see for yourself the effectiveness and operational efficiency of this product come and visit us in booth 174 at EANM 2014 in Göteborg, Sweden, or get in touch with our 1MP team by filling out this form. « Free Audit: Is your Laboratory GMP Compliant?